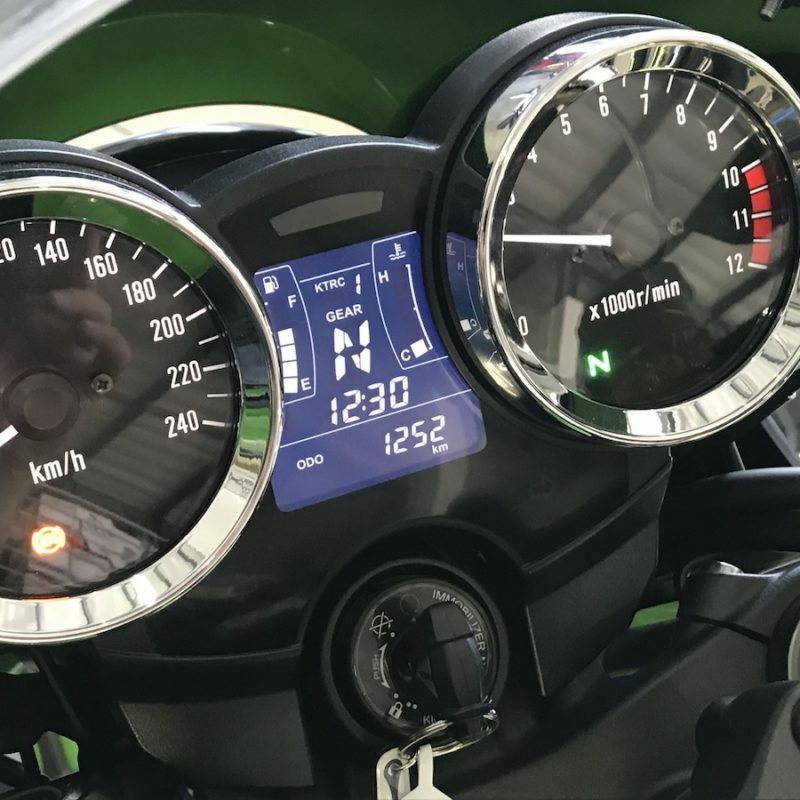 Much like we have already seen on The Bike Show TV show, the website version will be doing a weekly road test of one of the models on the floor of Fire It Up, the famous motorcycle dealer in Fourways. 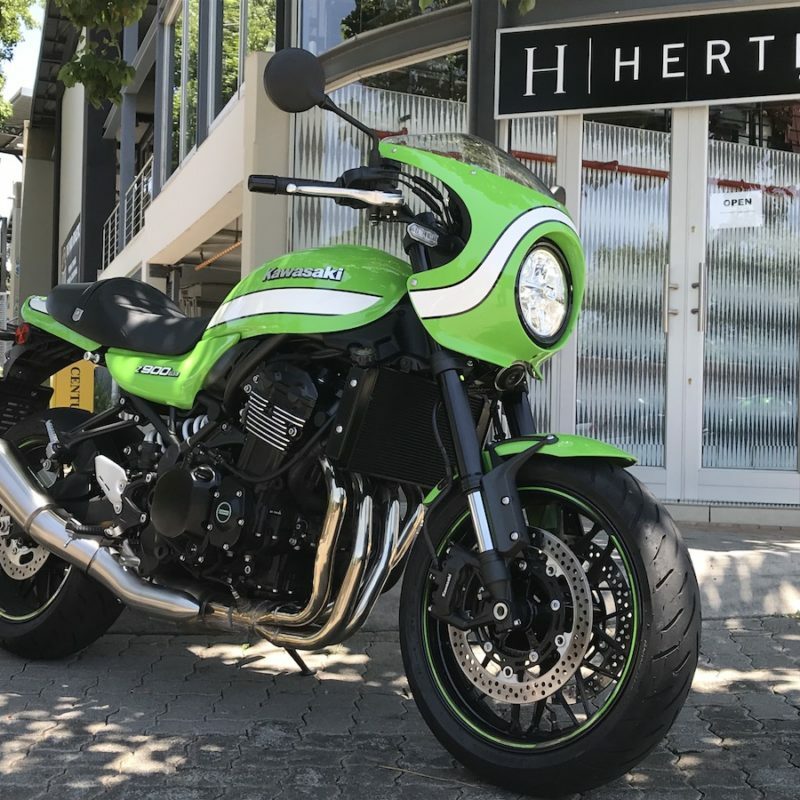 With more than 100 models arriving and leaving their floor every month, there are a lot of interesting bikes to look at and this week we found a near new Kawasaki Z900RS Cafe selling R40,000 below its new price. Not all bikes on Fire It Up’s floor are second hand. 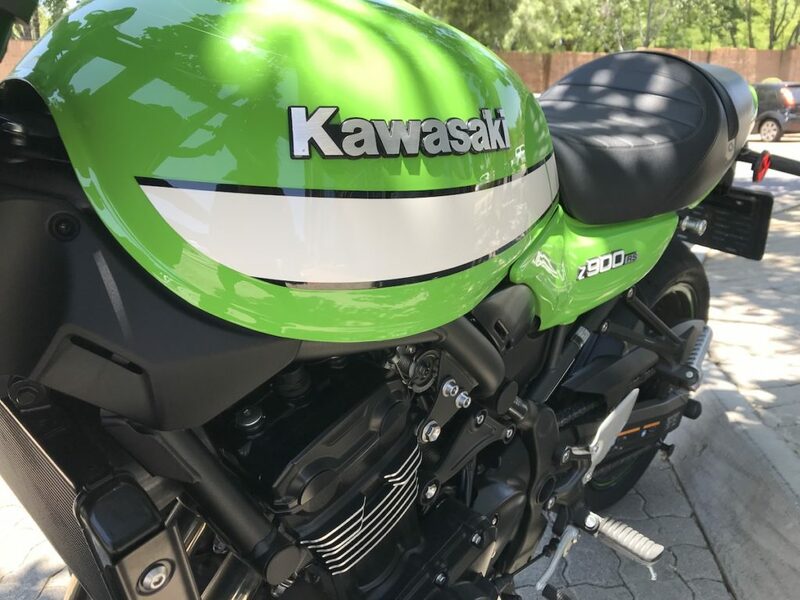 They are Kawasaki official dealers, selling the whole range of Green, however we sometimes come across something that is better than new. 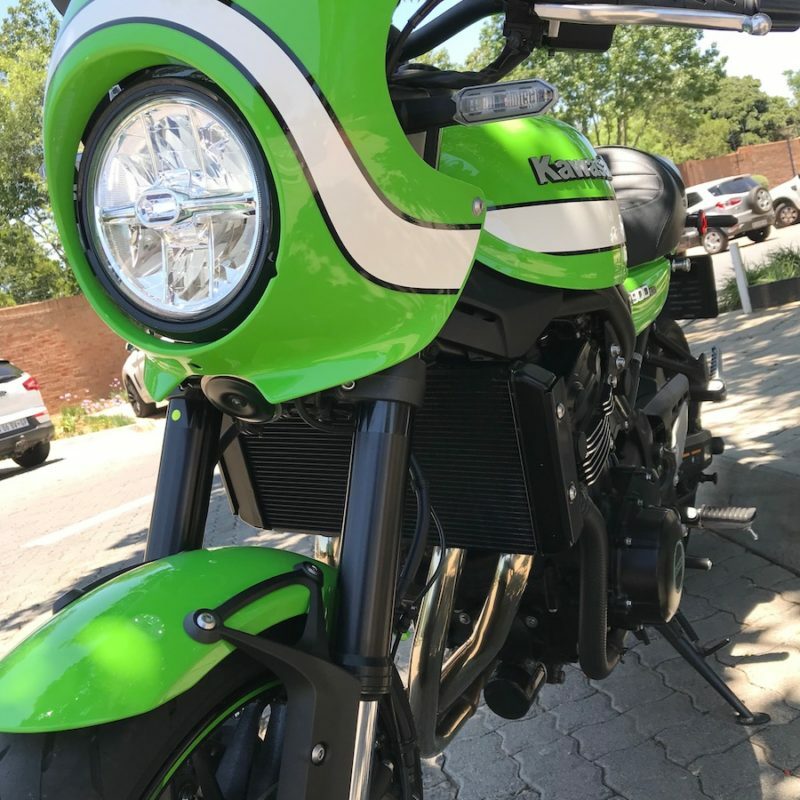 In this case, it’s a Kawasaki Z900RS Cafe, the version of the retro Z900RS with a classy bikini fairing in daring green. 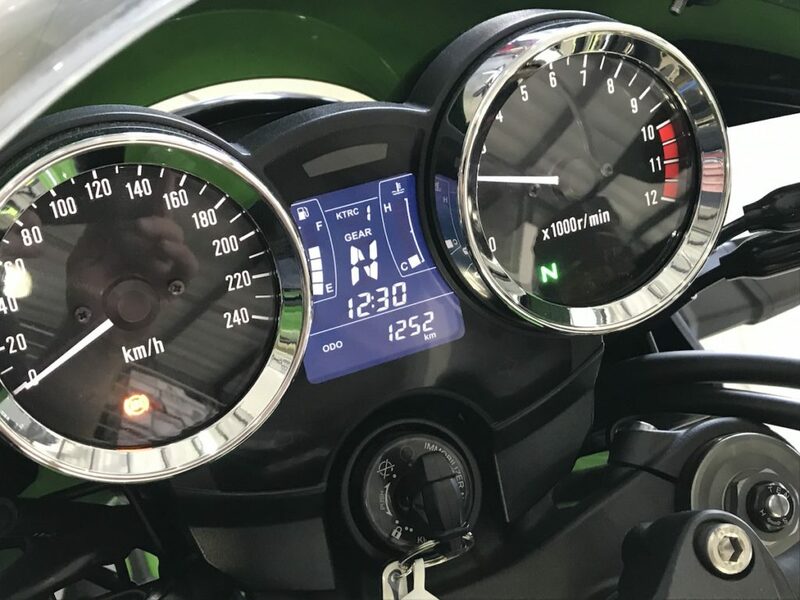 It was bought new by an owner, ridden for 1,200 km and then said owner found that he needed to be overseas, and so sold it back to Fire It Up. The great about about deals like this is that the bike has literally just been run in, meaning someone has done the shlep work for you, and now it is for sale at a ridiculously good price. 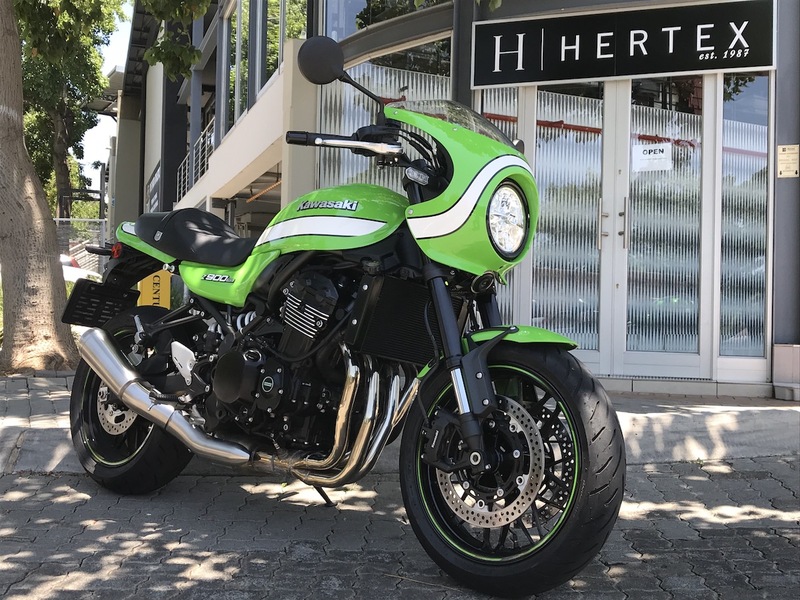 We are not joking about this either – the new price for one of these is R168,995 and this exact bike, still new in to feel and behold, is selling for R129,888 meaning Fire It Up has lobbed nearly R40,000 off the price tag. 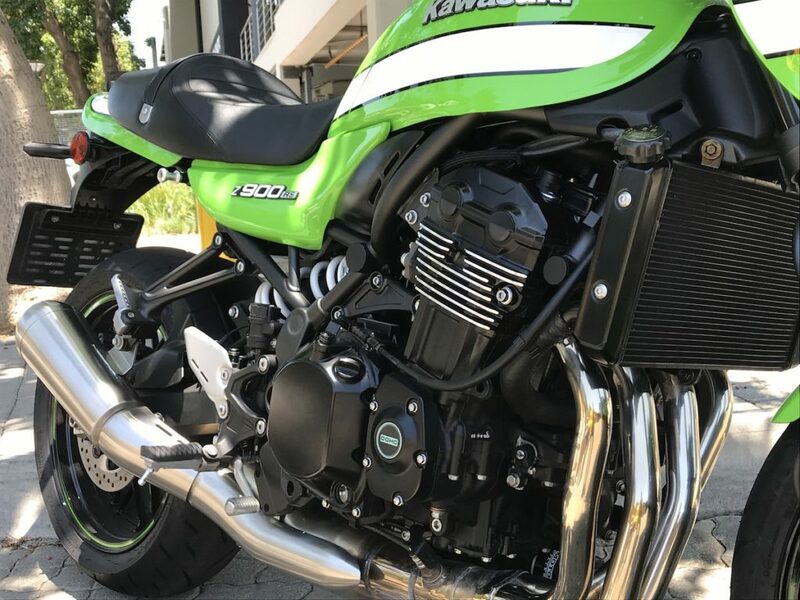 Making this deal more attractive is the fact that the Z900Rs is a fantastic motorcycle. 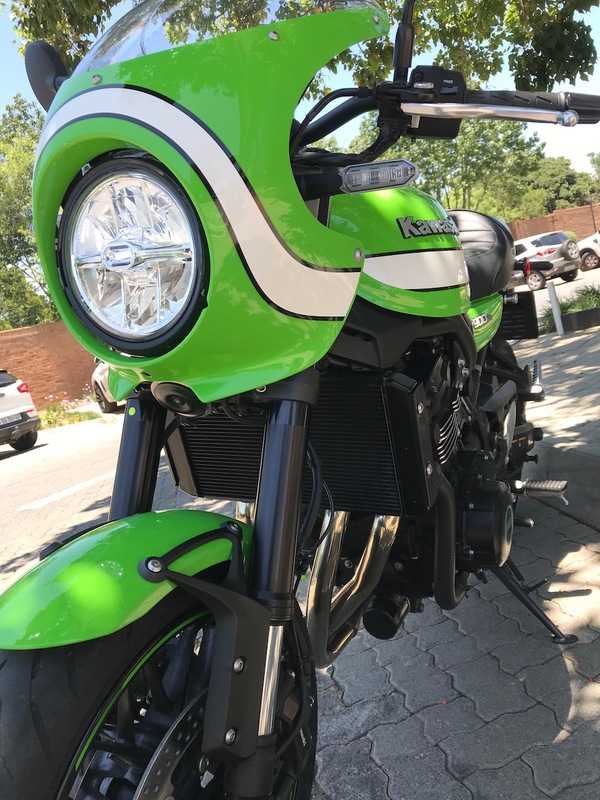 It pays homage to the original Kawasaki Z1 from the early 1970s, a bike that was feared and respected at the time. 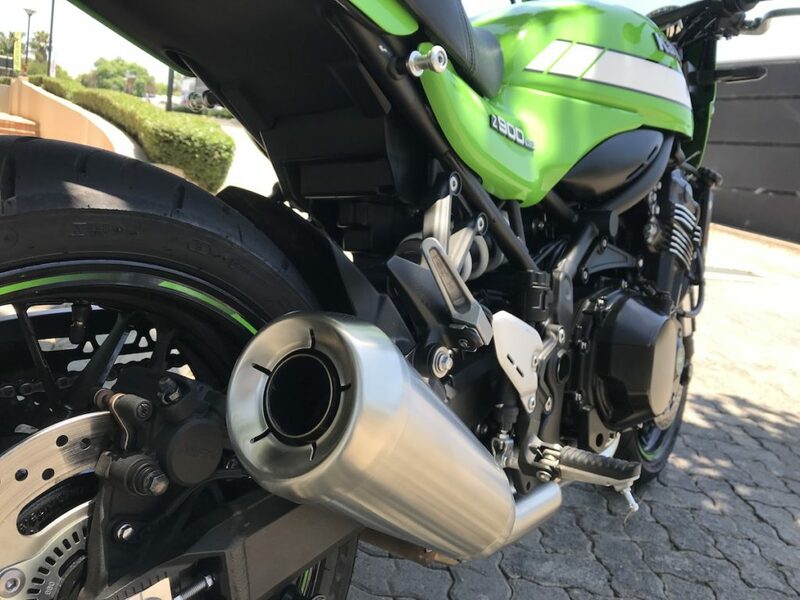 It has an in-line four-cylinder motor plucked from the Z900 streetfighter, pushes 110hp and feels like class and joy. 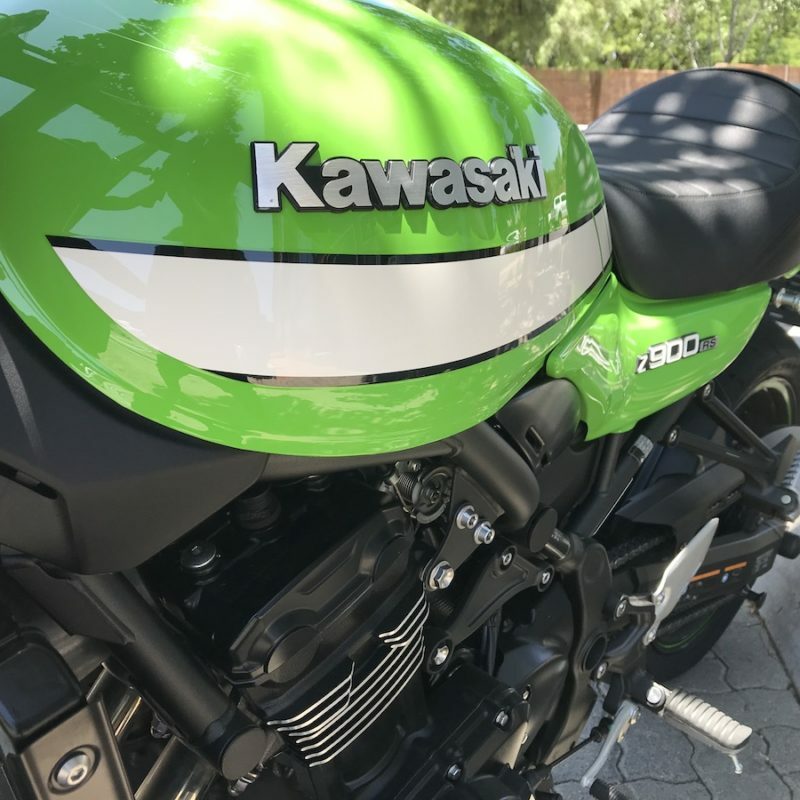 In a test on The Bike Show TV, both Harry and Donovan said they would choose it as their day-to-day over the Triumph Thruxton R and the Ducati Scrambler 1100. That says something. 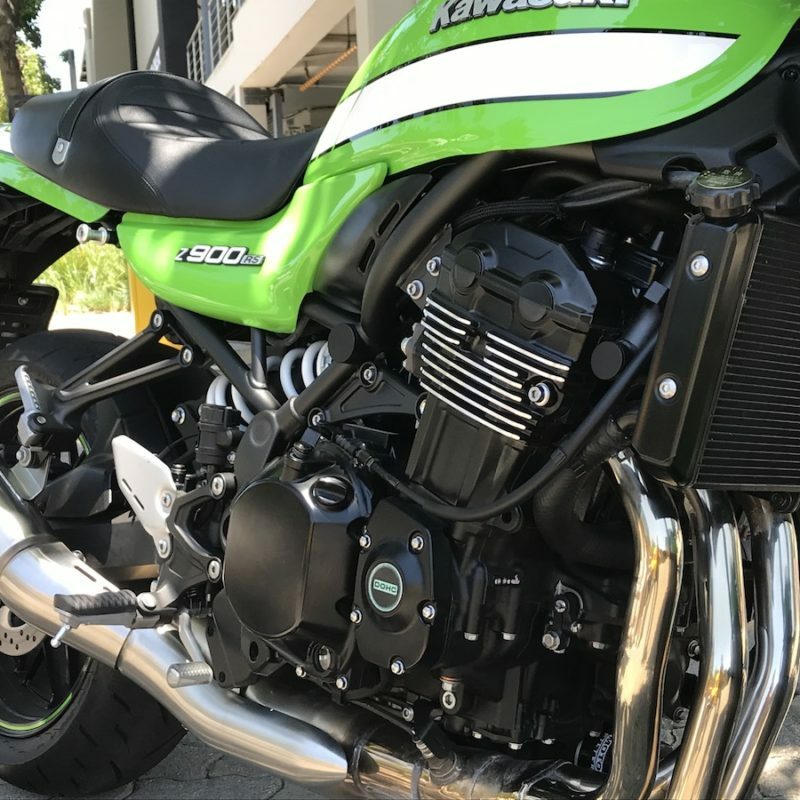 This 2018 Kawasaki Z900RS Cafe is available with Fire It Up’s Integrity Policy which is their promise to look after their customers once they have made their purchase. More so, there will be exciting news coming soon regarding new service plans. 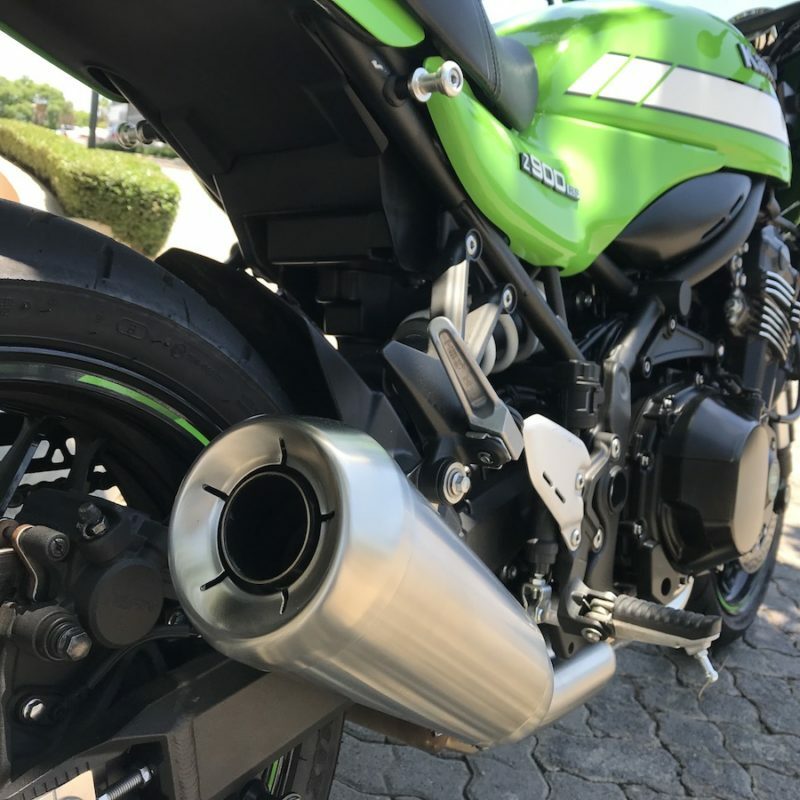 See a gallery of detail shots of the Kawasaki Z900RS Cafe at the bottom of this page.